This Fourth of July, ditch the potato salad and flag cakes in exchange for some nutritious & delicious crowd pleasing appetizers. 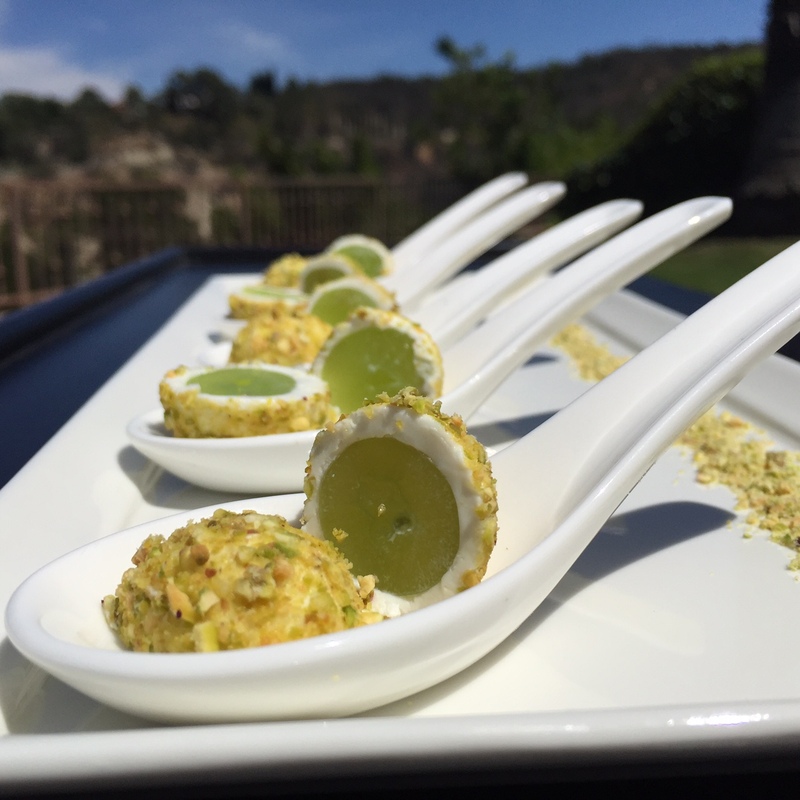 Our Eggplant Pizzettes will offer your guests with a lighter alternative to traditional pizza while our Pistachio & Goat Cheese Crusted Grapes will serve as a lovely palate cleanser before the rest of your Independence Day feast. Peel most of skin off of eggplant, leaving approximately 3 stripes of skin on so as to give eggplant a design. Using tea cup for a stencil, cut eggplant into 1-inch thick circles. This will yield approximately 16 eggplant circles. Spray each side of the eggplant circles with olive oil spray & sprinkle with salt. Place in oven for approximately 20 minutes. You want the eggplants soft, but not overcooked. Cut mozzarella into complimentary circles using tea cup as a stencil. 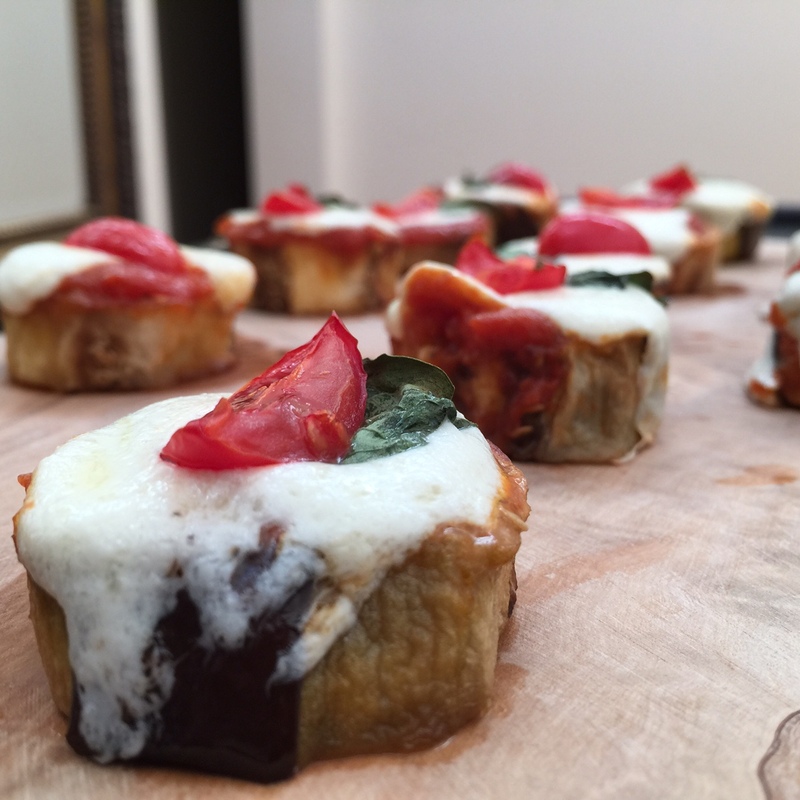 Once eggplant is out of the oven, place 1 piece of mozzarella on each eggplant circle. Cut each grape or cherry tomato into fourths, and lightly salt them. 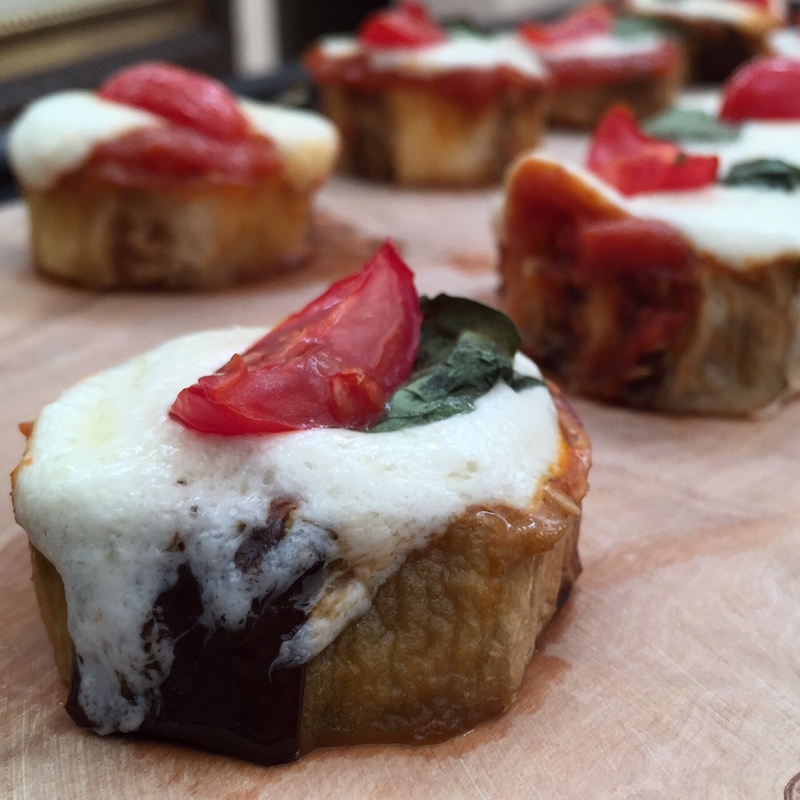 Top each eggplant pizzette with a tomato slice & small basil leaf. Right before serving, top with a touch of olive oil & broil pizzettes for approximately 3 minutes or until mozarella melts, taking careful note not to let them burn. Remove from oven & enjoy! Wipe hands with coconut oil (wear gloves if you’d like) to prevent goat cheese from getting stuck to your hands. Take a small piece of goat cheese and make a 1-inch diameter ball. Squash the goat cheese around each grape until an even layer is formed around grape. 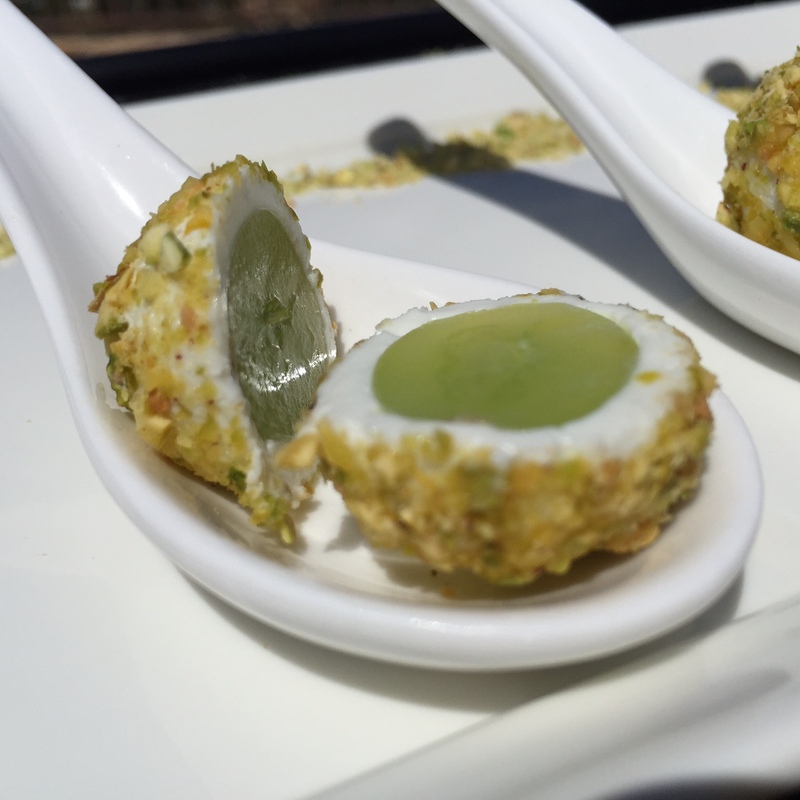 Roll goat cheese crusted grape in pistachio until it is evenly coated. 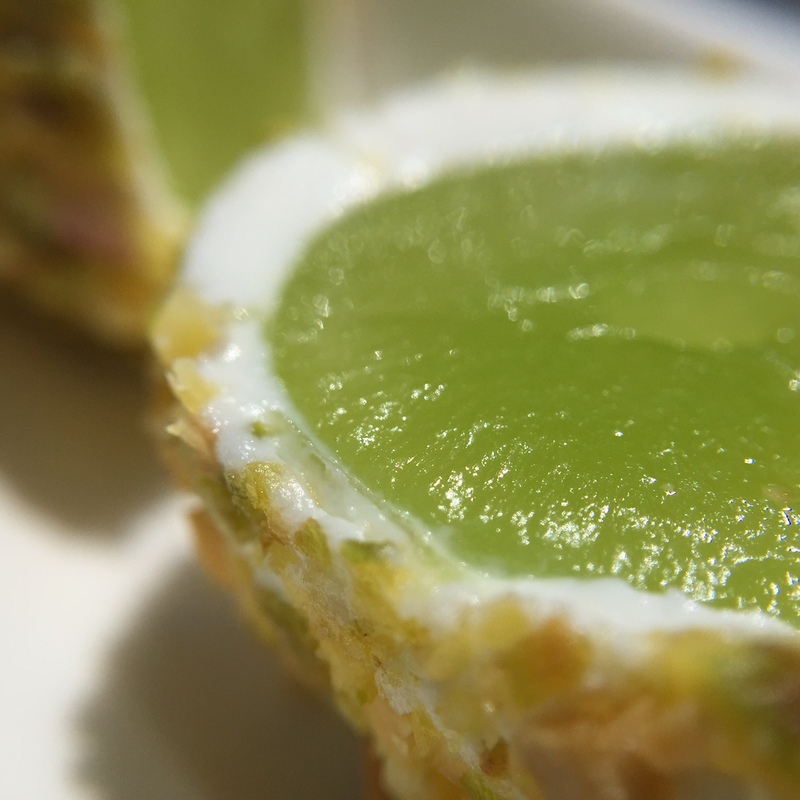 Refrigerate until ready to serve, and then cut each grape in half as pictured prior to impressing your guests. Enjoy!